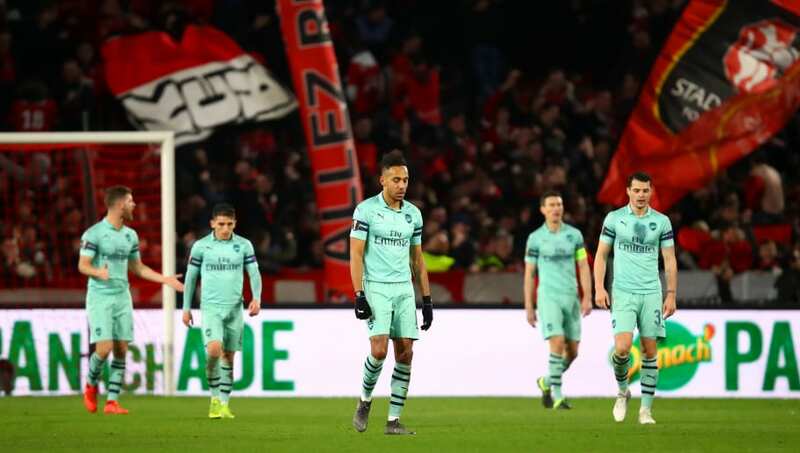 Arsenal's Europa League fate hangs in the balance after a humiliating 3-1 defeat away to Rennes on Thursday night. In honour of Arsenal's humbling loss, here are nine of the most embarrassing defeats suffered by English teams in European competitions. To keep the list short, we've decided not to include any results from the qualifying stages. Apologies to fans of Zalaegerszeg, Grazer AK, and CSKA Sofia. Manchester United had already booked their place in the next round before they took on Maccabi Haifa in October 2002, but Sir Alex Ferguson still fielded a strong team including Rio Ferdinand, Paul Scholes and one Ole Gunnar Solskjaer. Maccabi Haifa had already shown what they were capable of with a 3-0 win over Olympiacos on match day two, and they produced a repeat performance with a certain Nigerian striker called Yakubu among the goalscorers in a thumping victory. Honourable mentions go to other group stage defeats suffered by Manchester United against Copenhagen in 2005 and CFR Cluj in 2012, neither of which resulted in elimination either. The result which launched a dance craze. Manchester City were starting to become a Premier League contender around this time after their takeover two years earlier, and must have fancied their chances against the relatively unknown Polish side. But Poznan had already taken a point against Juventus in Turin on matchday one so they were not to be underestimated. 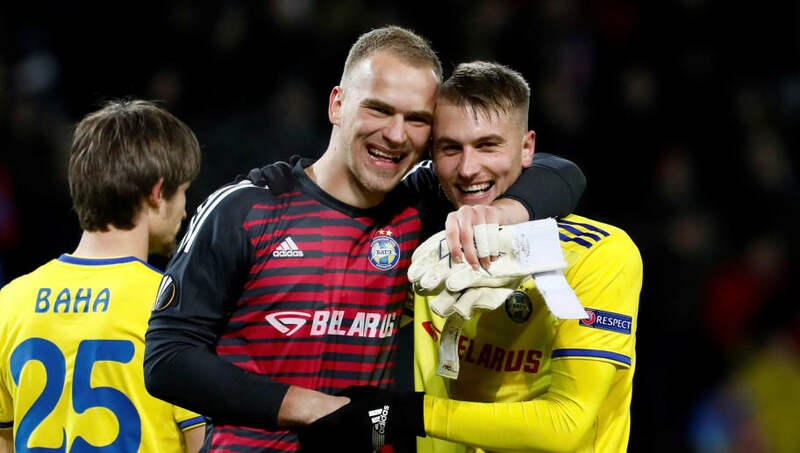 The match was locked at 1-1 with four minutes to go before two late goals, including Mateusz Możdżeń's screamer, clinched a famous win for the hosts. Each of the goals was celebrated with that iconic backs-to-the-pitch bounce, which City brought back to England and adopted for themselves. On 10 March 2009, Liverpool beat Real Madrid 4-0 in the Champions League at a jubilant Anfield. Exactly two wretched years later, they found themselves travelling to Portugal to face Braga in the Europa League. Sotiris Kyrgiakos' clumsy foul gave Braga a penalty within the first 20 minutes, which Alan converted past Pepe Reina. Liverpool lacked a cutting edge - surprising for a team containing such talents as (ahem) Christian Poulsen and Jay Spearing. The return leg at Anfield was an equally miserable affair. Andy Carroll made his first start for the Reds, but there was no way through against the Portuguese underdogs, who held on for a memorable win. Atalanta have established themselves as a very accomplished Serie A team over the last few years, so losing to them is not necessarily cause for embarrassment. However, it was the scale of this defeat which earns its place on the list. 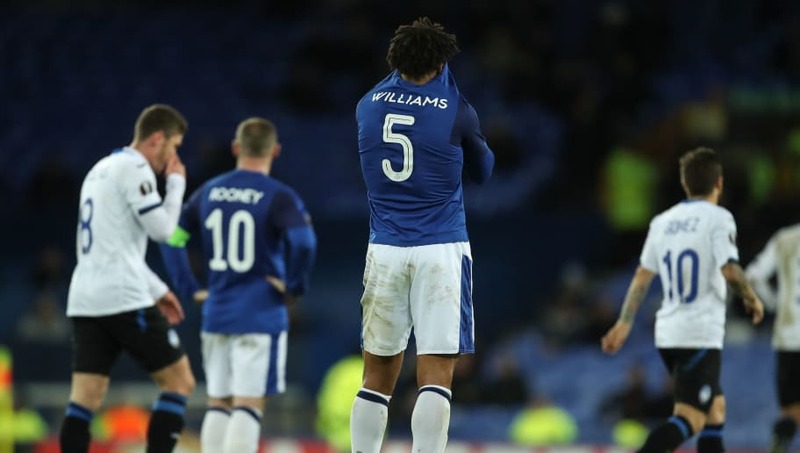 Goodison Park was less than half full, with Everton already eliminated, and two goals from Bryan Cristante gave the Italians the lead. Alejandro Gomez also had a penalty saved before Sandro gave the Toffees hope of salvaging a point. Instead, things only got worse. Rosin Gosens' dipping volley made it 3-1, before ex-Cardiff flop Andreas Cornelius rubbed salt in the wounds with a late brace, completing Everton's heaviest ever home defeat in Europe. Less than six months on from the Champions League final, Liverpool suffered one of their worst ever European defeats as they were soundly beaten by Red Star Belgrade at a raucous Rajko Mitić Stadium. Milan Pavkov scored both goals to give the 1990 European Cup winners a deserved victory against an out-of-sorts Liverpool team, who had over 80% possession but failed to create much with it. The Reds lost all three of their away matches in the group stages, but still progressed to the knockout stages. Significant improvement will be needed against Bayern Munich though. The latest addition to the list only comes in at number four, although perhaps it will rise higher if Arsenal can't overturn the deficit next week at the Emirates Stadium. Stanislav Dragun headed in from Igor Stasevich's cross for the only goal of the game, and Arsenal's misery was compounded when Alexandre Lacazette swung an elbow at Aleksandar Filipovic late on, earning a red card and a suspension for the return leg. This is not BATE's first major upset against a European giant. A 3-1 win over Bayern Munich in the 2012/13 Champions League group stages is the undoubted highlight, but Lille, Roma and Athletic Bilbao have also come unstuck against the plucky Belarusians. Midtjylland were not an entirely unknown quantity to English audiences when they were drawn against Manchester United in the 2015/16 Europa League round of 32, having beaten Southampton in the qualifying rounds earlier that season. Memphis Depay gave United the lead in Denmark but Pione Sisto responded almost immediately and Paul Onuachu scored 13 minutes from time to give the Superliga champions their greatest ever result. They extended their advantage at Old Trafford, but United roared back to win 5-1, with 18-year-old Marcus Rashford scoring twice on his debut. Whatever happened to him? The story of Östersund had attracted a lot of attention from the English media during the group stages, partly because they had only been promoted to the Allsvenskan two years earlier, but mostly because they had Englishman Graham Potter in charge. 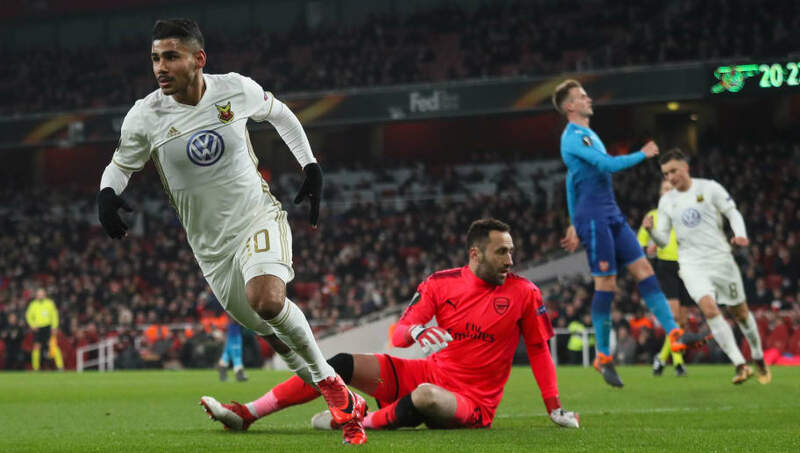 The minnows looked very much like minnows in the first leg, with Arsenal taking a three-goal lead back to the Emirates Stadium. Improbably, goals from Hosam Aiesh and Ken Sema put the tie back in the balance by half time. Sead Kolasinac staved off a comeback early in the second half, but this was still a remarkable result for Östersund and a humiliating one for Arsenal. Midtjylland and Ostersund pulled off memorable results, but neither was able to replicate the remarkable achievement of their Scandinavian neighbours Viking, whose 4-2 win against Chelsea in 2002/03 was enough to eliminate the Blues from the UEFA Cup. Chelsea had won the first leg 2-1 but found themselves 2-0 down within 35 minutes in Norway. Frank Lampard and John Terry scored either side of Erik Nevland's goal to reduce the deficit to 3-2, which would have sent Claudio Ranieri's team through on away goals. But Nevland, formerly of Manchester United and later of Fulham, scored again in the 88th minute to seal Chelsea's fate. Other defeats suffered by English teams have been worse, but few have resulted in an elimination as humbling as this.